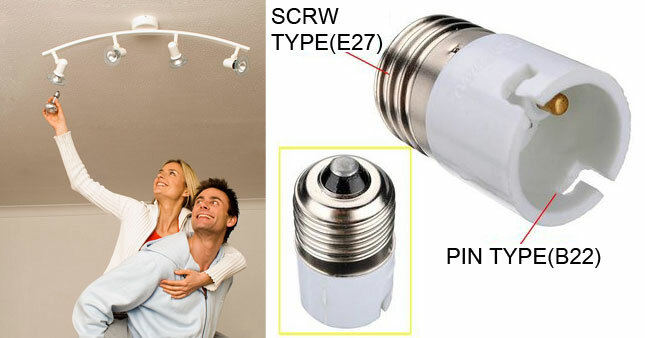 45% OFF!Pin Type to Screw Type Bulbs Adapter Converter worth Rs. 90 for just Rs. 50! Pin type to Screw type light lamp bulb adapter converter, a lamp base converter of light bulb with pin type base to adapt an screw type fitting socket, it is suitable for LED, halogen, filament or CFL light bulb. The light bulb adapter converter is easy and convenient for you to install and use for its practical and useful design, it will bring great convenience to your daily life. Voucher is valid only for one Pin Type to Screw Type Bulbs Adapter Converter.